Turkey Day Wine Pick Poll Results! THANK YOU to everyone who chimed in on the first ever 1WineDude.com website poll! Personally, I find website polls to be hit-or-miss – I prefer that a poll have a point (to gain reader feedback that will actually be used) rather than those that are just for fun (call me a party-pooper). This poll definitely had a point, in that I wanted to see what 1WD readers were drinking on Thanksgiving this year, and also see what this highly non-scientific and possibly statistically specious poll had to say about the challenge of Thanksgiving dinner wine pairing recommendations in general. Well, it had a point to me, anyway. And I thought it would be fun (and it is my blog, after all). As you can see above, while a fair amount of you will be drinking Riesling (my personal fave Turkey Day pick) or aromatic Gewurztraminer, most of you picked a write-in category (“Other”) – which means that you thought the other poll answer options sucked, and/or you wanted to offer a more specific recommendation. The big winner at this year’s holiday party, believe it or not, was …Chianti. There you have it. The people have spoken, and on Turkey Day, they want variety! They also want Pinot Noir. Whatever you’re drinking this Thanksgiving day, I wish you a happy, safe, and enjoyable time with it! This exciting edition (is there any other kind?) of Tales of the Purple Monkey has Plumboo (that’s the monkey) and me taking on one wine, but in three slightly (but importantly) different ways. 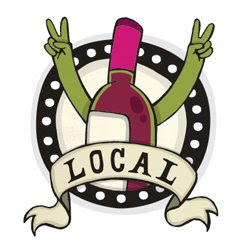 Last week, I participated in several Twitter Taste Live events, one of them being co-hosted by BinEndsWine.com and DrVino.com titled “Drink Local!” in which we reviewed local (to the reviewers., that is) wines. My previous post on the event has more background detail (and a recap of the twitter conversations). “Decanted” directly from the bottle using a wine gadget called the Wine Soiree. 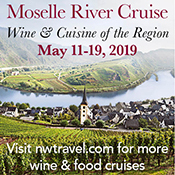 Anyway, according to the Wine Soiree website and promotional materials, it is supposed to function somewhat like a decanter, using the principle of aeration. Wine contains many volatile chemicals that impart aroma, flavor, and also help to integrate a wine’s components so that it tastes better. Exposing those volatile components to air starts the process. This is one reason why decanting hefty red wines for a time before drinking them helps to make the wine more accessible and softer. I poured all of my “versions” of the Penns Woods Ameritage into identical ISO tasting glasses (because I’m a nerd and I do own those, thank you very much) and had a go at each in comparison. 1winedude: #ttl I might be still tasting this finish tomorrow when I brush my teeth in the morning!!! 1winedude: #ttl This Soiree does something… and it seems good to aerate a wine in a pinch or when a decanter is not available. 1winedude: #ttl but it ain’t quite like decanting! 1winedude: #ttl As for the wine itself – very good, not his best vintage tho. The 2005 has more promise; 2002 is… well… freakin’ sublime! 1winedude: #ttl This 04 is a bit too expensive for what it is, but it’s a very, very well made Bord’x style blend. And YES it is from PA! As it turns out, the Soiree does indeed seem to aerate the wine… somewhat. For me, the Soiree doesn’t compare to actual decanting, which in this experiment I found to be far superior. Still, I think the Soiree could work in a pinch if you are desperate to decant and/or to take the edge off of a serious red, but can’t wait for proper decanting (winery tasting rooms come to mind). It you can get past the sight of a Christmas tree ornament sitting on top of your wine bottle, that is. The Thanksgiving Wine Pick Poll! Far and away my favorite U.S. holiday. That seemed to get through to them relatively easily, so it’s become my default explanation about Thanksgiving to non-U.S. citizens since that day. The only thing that I don’t like about this greatest of all American holidays is having to give Thanksgiving meal wine pairing recommendations. That’s because I find it largely impossible, and ultimately pointless. 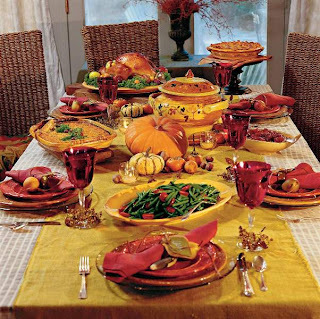 Most Thanksgiving celebrations are a recipe for wine disaster: a massive variety of food; side items that totally overpower the main courses with their richness, sugar content, and robust flavors; a large group of people spanning several generations and all with different wine drinking preferences. 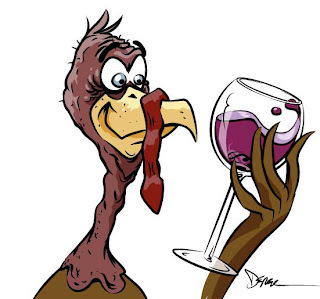 Search for “Thanksgiving wine pairings” on Google and you will get almost 1.2 million hits. Because given the complex and unique situation that is the traditional U.S. Thanksgiving dinner, and you have a strong argument for all of them being ‘right’. The answer is simple: drink what you like! 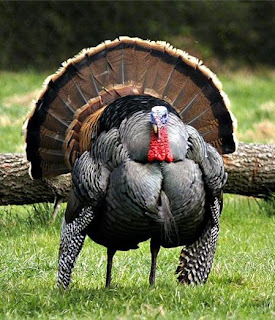 So, rather than telling you what you ought to drink on this coming Turkey Day, I thought it would be fun for you to tell me (and all of the 1WineDude.com readers!) what you’re drinking at this year’s Thanksgiving dinner table! Take the poll below and let us know! Looking forward to seeing what you’re imbibing to make your relatives a bit easier to bear with turkey dinner this year! Hey folks – a reminder for you that Twitter Taste Live is happening again tonight at 8PM ET.